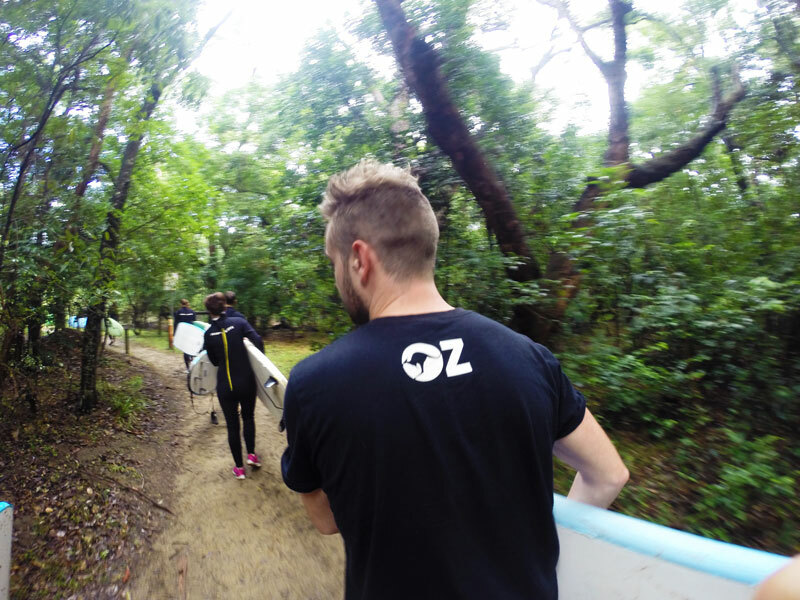 You are here: Home / Our Blog / Featured / Australia / Surf Camp: Learning to Surf, the aussie way! 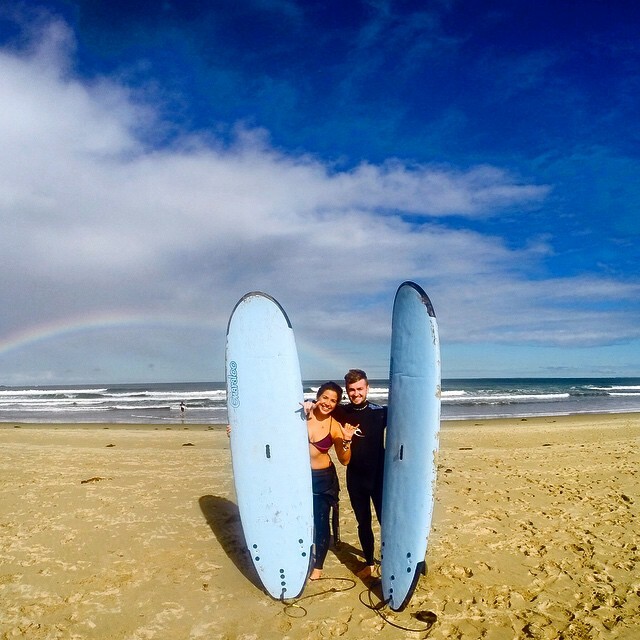 I’d always wanted to learn how to surf and thought what better place to do it than Australia! A few of my mates had done the 5 day Surf Camp and recommended it so I thought why not!? I work during the week so I decided to book onto the weekend Surf Camp and get out of Sydney for a couple of days! How did the weekend kick off? So we all got picked up outside of Wake Up on Friday night.. it couldn’t have been easier. We popped into Side Bar for a quick beer then hopped on the bus down to Surf Camp. Great way to start the weekend. Met so many people from all over the world including some local Aussies who are a bunch of legends! Being my first ever surfing experience, standing up on the second attempt was definitely a highlight! Such a great feeling! From there it was plain sailing and eventually turned pro by the end of the weekend. 😉 Without the lessons I don’t think this would have been possible. Top marks to our instructors – they were so helpful, always there if you needed them and a right laugh! 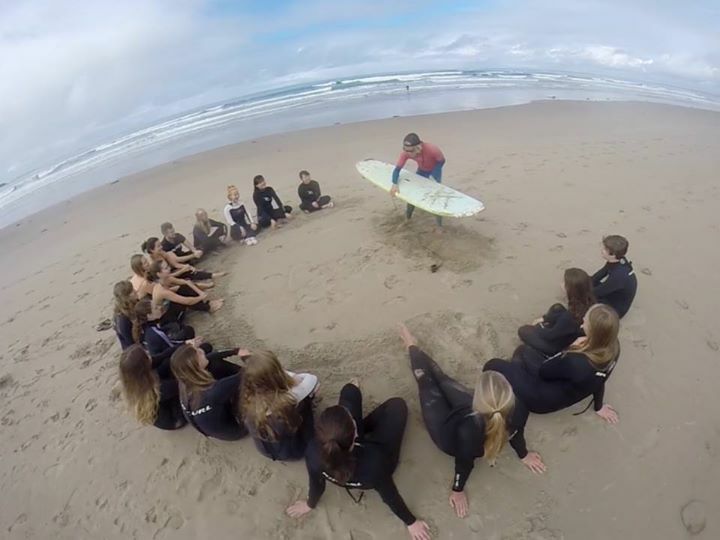 What advice would you give to others going to Surfcamp? Make sure you visit the local pub and join in on some limbo! 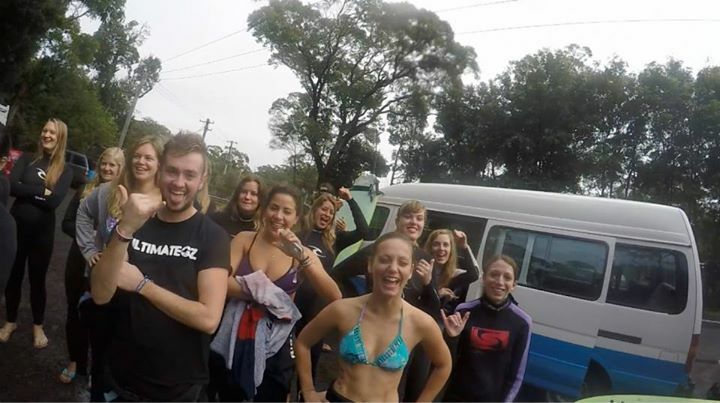 You might be tired after a day of surfing but it’s well worth it – it’s a great place to get to know other backpackers! Personally I don’t think it was long enough. 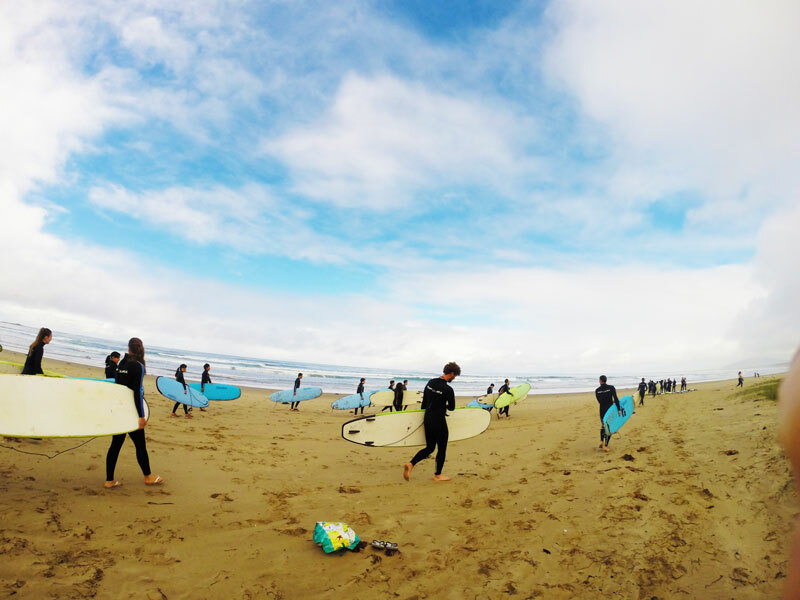 I did the weekend Surfcamp as I had work commitments but if I was to recommend it to friends, I’d say go on the 5 day trip for sure! The weekend was plenty of time to learn how to surf however it was such a great time I wanted to stay longer. Also, I think if I’d stayed a bit longer, I would have had time to learn some more tricks! What was the camp like? Such an amazing place! The camp is just a short walk away from the beach (7 mile beach.) It’s a beginners beach so the waves aren’t too big which was perfect for me as a first timer! You can still ride the waves without getting taken out! Some of the instructors mentioned that in the summer, they often see dolphins just off the beach and some people get to surf with them! The food was amazing too. They always kept us fed and full with meals 3 times a day and there was never a shortage which is great! All of the staff we’re very friendly, helpful and a little crazy (in a good way!) The staff make the trip even better. 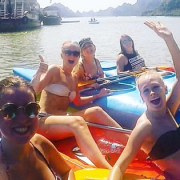 Even if you’re travelling there alone, the staff will make sure you’re involved and have a great time! After dinner on the Saturday we had such a funny night playing drinking games with new faces and the instructors! Luckily we woke up on Sunday with no hangover to catch some serious waves -we went further out to catch the big guns…awesome!! Did you think it was value for money? Yes, I really did. All of the accommodation, surf lessons, equipment and travel is covered so the only thing I spent money on was a couple of beers! We also got a Free T Shirt, Trucker hat, & a $20 Rip Curl Voucher. Also, throughout the weekend there were photographers taking shots of us surfing which were then played on a TV during dinner and uploaded to Facebook. It was a laugh seeing the best ‘wipeouts’ from the day! 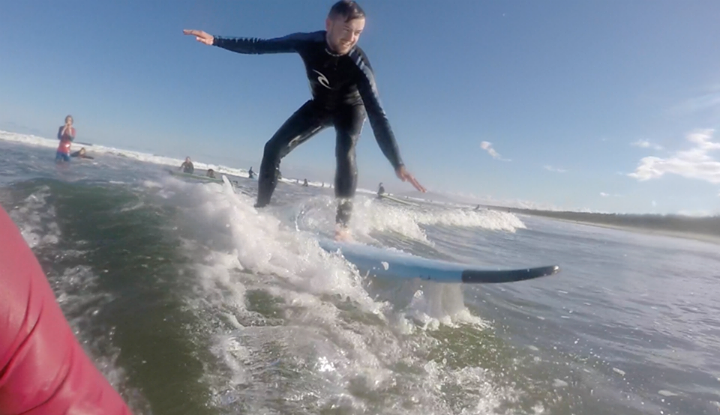 I’ll definitely be recommending Surfcamp to my mates! 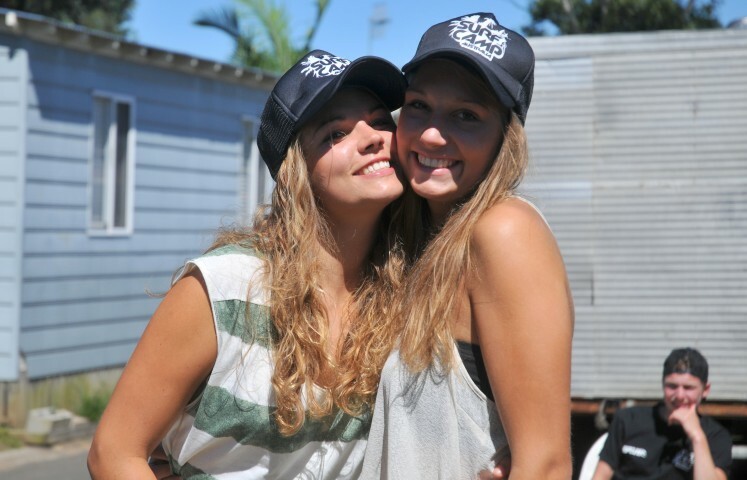 Surf Camp includes return transfers from Sydney, your accommodation, food, surf gear, photos, videos & extra freebies! Want to learn how to surf? Get in touch to for discounts! ‘Like’ us on FB for travel inspiration, photos, videos and more blogs and follow us on Instagram (ultimate.travel) for travel pics! 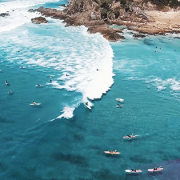 https://www.ultimate.travel/wp-content/uploads/2015/07/Surfing.png 315 851 Holly Walker https://www.ultimate.travel/wp-content/uploads/2015/01/logo-300x94.png Holly Walker2015-08-25 10:41:182018-05-01 18:25:46Surf Camp: Learning to Surf, the aussie way! State of Origin - Which Is Better NSW or QLD? Why I Love Vietnam! Important Update: 2nd Year Visa Changes!